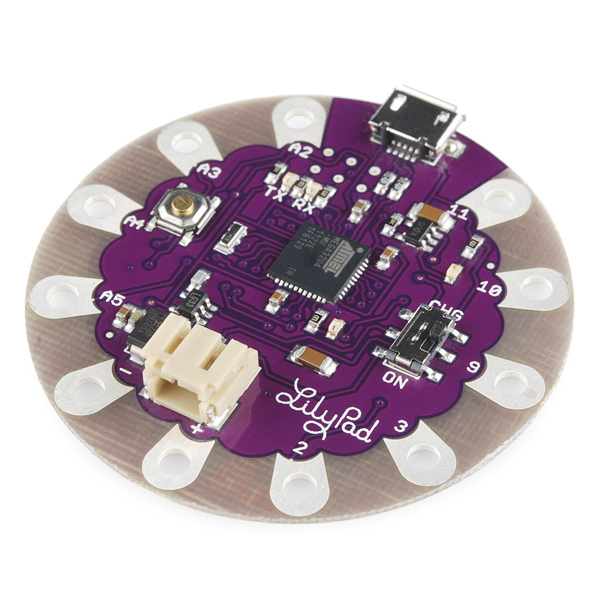 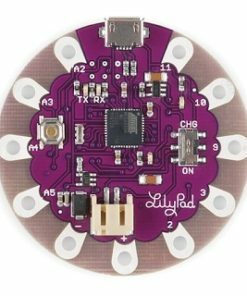 Description: The LilyPad Arduino USB is a microcontroller board based on the ATmega32u4. 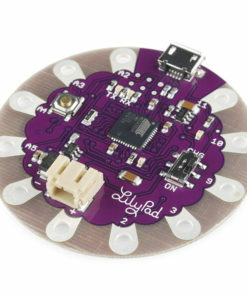 It has 9 digital input/output pins (of which 4 can be used as PWM outputs and 4 as analog inputs), an 8 MHz resonator, a micro USB connection, a JST connector for a 3.7V LiPo battery, and a reset button. 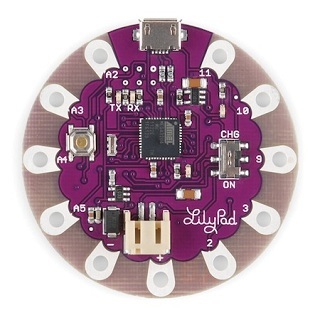 It contains everything needed to support the microcontroller; simply connect it to a computer with a USB cable or power it with a battery to get started.